Copper balls have been specially designed to aid the quality of electroplating. The balls are 25mm, 31mm, 40mm or 50mm in diameter and are made up of 99.9% copper and between 0.04 and 0.06% phosphorus. They enable the quality of copper plating to be heightened. This is due to them being able to give free flowing material which dramatically reduces the development of sludge during the process of plating. This is their sole purpose. It is also useful that they are able to reduce sludge development because this extends the anode baskets life because the sludge does not erode them. The anodes are created using the purest of copper which is oxygen free. The anodes must be made out of oxygen free copper so that the correct phosphorus content occurs for the electroplating process to be successful. This process is watched and monitored strictly for quality control and this highly automated process creates a product of great uniformity and high quality of plating. 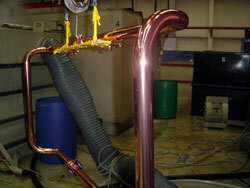 Copper plating is functional and decorative. It is well known for being an excellent conductor. The deposited layer which is left when copper plating occurs is very bright and levels well. Copper plating is often used in Medical settings or laboratories due to it being able to kill off bacteria naturally without need for any chemical assistance. In reference to its decorative flare – this is due to its highly polished copper-pink appearance. Lacquers can be applied so as to prevent tarnish from building up on the copper plating if it is solely intended for decorative use. Comments Off on Is Copper Plating the New Solar Panel Platform? 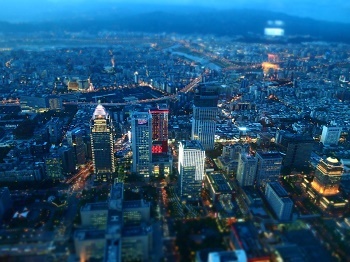 It seems that the Industrial Technology Research Institute of Taiwan (ITRI) have discovered that Copper plating could be the solar panel platform. They intend to cooperate with aiding the development of copper plated solar panels on a small-scale, fast production. The collaboration between Motech Industries, Gintech Energy Corporation and TSEC Corporation and that of the ITRI seems to have captured gaps in the photovoltaic (PV) global market. The General Director of ITRI’s Green Energy and Environment Research Laboratories, Dr. Robert Yie-Zu Hu, stated that this brand new development has in fact been in research state since 2012 and that the copper plating for silicon solar cells metallization technology currently achieves 20% energy conversion. This is a first for copper plated solar cells in Taiwan, where production can reach 200 solar cells per hour. The efficiency of the solar cell will increase by 0.2% with the cost reducing by 5-7%. Many foreign manufacturers have been developing copper plating technology themselves but no one has so far been able to produce copper plated solar panels on such a large scale. This could, therefore, be a large profit making scheme for Taiwan, also making them leaders in the global copper plated solar cell market. Currently, they are the world’s second largest solar cell market, but with the industry now stable and demand rising, this could easily change. So, will we be seeing these copper plated solar panels in Britain any time soon? Copper plating is functional and it looks good. Copper plating is very bright and eye catching. It naturally kills bacteria and is often used for decorative purposes. Copper plating has a smart, polished copper-pink finish and can be lacquered to prevent tarnish from occurring. But the best reason for it being used as a solar panel is due to it being such an excellent conductor. Comments Off on Electroplating and Electroless Plating – Less is More! Electroplating and Electroless Plating – Less is More! The success of many products, which a lot of us are probably unaware of, are dependent on the application of surface engineering. Such a huge amount of products, both commercial and industrial, are needy of it. These include aeroplanes, computers, cars, trains, buildings, medical implants, mobile phones, and electronic devices – what would you do for a week without having just the products that have been listed? Electroplating is a process of surface engineering. This is where metal coating is applied to a metallic or other conducting surface by and electrochemical process. This process uses electric current in order to form a coherent coating on an electrode. Electroplatings number one use is to change the surface properties of an object, such as the wear resistance, lubricity, corrosion protection and abrasion, for example. It also builds up the thickness on objects, too. Electroless plating is a high quality, cost effective and eco-friendly solution to coating metals like stainless steel, as it can dramatically enhance the life expectancy. The main difference between electroplating and electroless plating (yes, is in the name!) is that no electricity is used in the process of electroLESS plating. Electroplating baths are used and are closely monitored as the parts must have a constant power supply directly provided to them in order for the ion attraction to be initiated in the bath contained solution on to the metallic surface of the submerged object. This is when the chemical reaction occurs as the ions are being reduced and oxidised. What does Plating help with? us are experts in Electroless Nickel Plating, also known as ENP. We are leading suppliers in Derbyshire who perform the electroless nickel plating process as well as many other processes to the highest of specifications to suit your needs. We undertake diffused nickel plating, copper plating, nickel diamond plating, tin plating and many other processes. If you are interested in these processes and want to ask us to perform these processes for your company or wish to find out more information then why not contact us today. Call our highly respected staff on our phone number, email us at info@metal-finishing-company.co.uk or you can go directly to our website by clicking here to find out more about whichever process you desire.